Because police units are often scattered over a large area, it is essential that the dispatcher keeps track of where the officers are at all times. Local and state law enforcement units often have strict rules and protocols for using scanners. Online Police Scanner are also frequently used by journalists, private detectives and hobbyists for tracking crimes, finding leads or in some cases, simply avoiding traffic. For bloggers and journalists with media careers, they can be essential to finding good leads before they happen. Ordinary citizens often use them simply to find out if highways are congested, weather reports, accident reports, etc. Some counties live broadcast their scanners just for this purpose. At the very least, it will save you 10 minutes on your morning commute, just because you know Highway 9 is out of commission. Many scanners are also tuned in to the weather, so access is great for snow days or for those rare large storms. If you just need to satisfy your curiosity so you can see what the local cops are up to, then that’s a good enough reason. WHERE CAN I FIND A SCANNER? In the times before the Internet, scanners were often jury-rigged CB radios private citizens set up in their homes. Now, it’s an easy as downloading an app into your smartphone. Cop Radio for the iPhone and iPad is a free app that helps you find police scanners in your area. It doubles as an FM radio too. 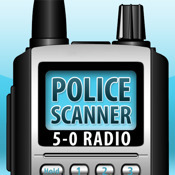 Another great app is 5-0 Radio Police Scanner Lite comes with a handy map and a little glossary of local codes so you actually know what the dispatcher and the units are talking about. Emergency Radio Free allows you to listen into not just cop, but even air, fire and even weather. Using an app gives you access to the scanner no matter where you are. 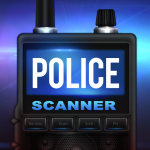 For Android, the Police Scanner Free App gives you access to scanners from all over the world. These apps only work with web or 3G access, so make sure you’re connected before you hit go. 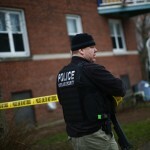 Sites like Broadcastify.com stream live police scanner feeds online. All you have to do is click the area you would like to listen to. Sites like Scannermaster.com keep lists of website radios you can tune into, right down to your state and area. You can also check out tunein.com and search for scanners. If you know the right frequency to tune into, it can be as simple as finding it on your Internet radio. All you need is a little adjusting and you get instant access. IS IT LEGAL FOR ME TO OWN A SCANNER? 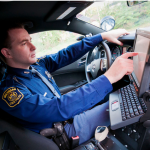 In many parts of the US, possession, using or tampering with a police scanner may be illegal. The legality of owning a scanner (yes, even a free app you downloaded into your iPhone) depends on your local and state laws. Strict penalties accompany breaking these rules and range from moderate to heavy fines to actual jail time. In states like New York, you need a license to even own or operate one. In other states, it is only illegal to own a police scanner if you intend to use it in the commission of a crime. Some states specifically ban the use of scanners while you are driving or operating a vehicle. In other countries, it is often legal to possess a scanner as long as you do not use them to interfere with telecommunications. Make sure you check with your local laws before even attempting to download a police scanner.At the very least, make sure you’re familiar with what you can and can’t do with a scanner. Consult a lawyer if you need to, especially if you intend to use your scanner for long term use. Hopefully, you can use your police scanner without hassle or trouble. It should come in handy once in a while!